Palm Springs Carpet Cleaning has 20 years of experience in providing clean and healthy homes in the Flagstaff Hill SA area. Our committment to providing you with an exceptional experience goes beyond cleaning your home – we want to help you ensure that you can provide the safest, healthiest living environment possible. Our rug cleaners staff are dedicated rug cleaning service in Flagstaff Hill SA and the metro area. Our rug cleaners use tried and tested professional treatments that are safe for children and pets. These solutions are also biodegradable and non-toxic. 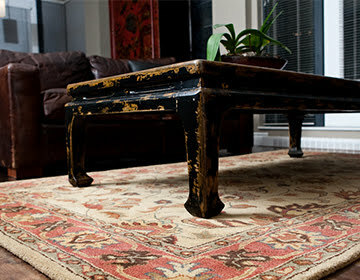 These treatments will help to restore the rugs original appearance.